No traditional Southern meal would be complete without at least one gelatin-based dish on the menu. At potlucks and church dinners, you’re likely to find several dozen of these delightful creations on offer. Now in the part of the south where I grew up, we’d be more likely to serve these as a side dish or salad rather than a dessert. It mostly depends on whether there are any vegetables in the mix. If your recipe includes onions, celery or carrots, it’s a salad. If not, it’s probably a dessert. Although that’s not a hard and fast rule mind you. And another thing. Where I grew up, we always call these recipes “congealed salad.” Whether served as a side dish or dessert, it’s still congealed salad. I started out using that term but had so many people “correct” me or either outright state that the word “congealed” was disgusting (though I have yet to quite understand why), that I started using the apparently more popular “jello mold” or “jello salad.” Call it whatever you like. This Blueberry Jello Salad falls squarely in the dessert category. Not a carrot or celery in sight. 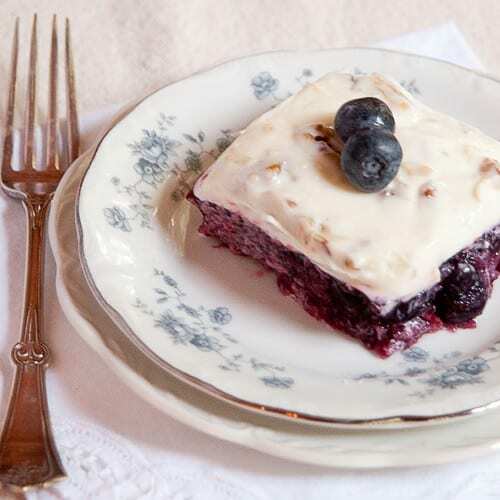 This one uses black cherry jello chock full of blueberries and pineapple and is topped with a sweetened but tangy cream cheese and sour cream combination. Yum! 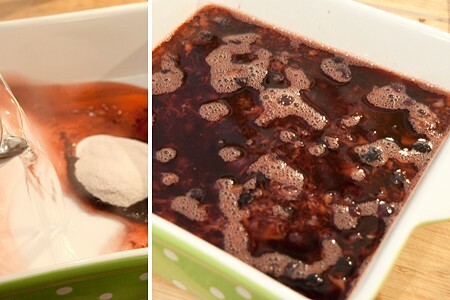 In a 2-quart heat-proof serving dish or casserole, add the jello and boiling water. Stir until the jello is completely dissolved. Add the pineapple with its juice and the blueberries. Stir until evenly combined. Cover and refrigerate until firmly set. Add the cream cheese, sour cream, and sugar to a medium bowl and mix until thoroughly combined. Stir in the walnuts. Spread evenly over the set jello layer. An old-fashioned southern jello salad with blueberries and pineapple topped with a sweetened cream cheese and sour cream mixture. Add the pineapple with its juice and the blueberries. Stir until evenly combined. Cover and refrigerate until firmly set. 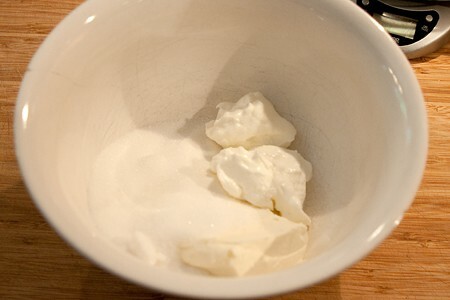 Add the cream cheese, sour cream, and sugar to a medium bowl and mix until thoroughly combined. Additional time is required for the gelatin to set. Plan on 4-6 hours. All of the layers going on here look incredible! This sounds super easy too! Thanks, Nancy! And you’re right, it is very easy. This looks awesome and I love that it can be a dessert or side dish! This blueberry jello salad is all sorts of wonderful. In fact I can’t believe the timing I made more simple jello blueberry sauce to top a cheesecake recently. Great minds. Blueberries and cheesecake are just a fabulous combination, aren’t they? Oh my! This looks tasty! I’m a sucker for jello anything #1, #2 anything with cream cheese! So, this looks perfect for me! Will definitely be making this at my next cook out to share with the family! Hope you all enjoy it, Amanda! Can’t wait to try this recipe–sounds delish! I have three boxes of gelatin in my pantry. Yep. Southern girl here. I’m not ussually a huge fan of jello, but yes to this! As a life-long Northerner, I’m not so well versed in the ways of jello salads. However, anything containing this much fruit and cream cheese has got to be a winner. Lana, another one of our most loved “salads” but eaten as a tasty dessert. filling. That was before our area had access to fresh or frozen blueberries. Talk about sweet but very delicious! We love it. My mom makes a similar salad but with pineapple I bet blueberry has to be fantastic. Hooray for summer and hooray for blueberries! Looks yummy and making today for a Potluck Lunch tomorrow. When you say 2 quart casserole dish is that 9X13 or 9X9 or 8X8? Your picture looks like it is prepared in and 8X8. Kathy – the dish I used for the post was 8×8. Hope you enjoy it, Jeanie! 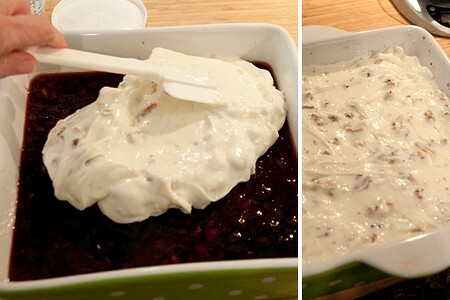 My husband’s family’s Thanksgiving Jell-O salad is so close to the same…just switch out the Sour Cream for Cool Whip. They also change up the gelatin flavor according to the preference for the year. I’ve been hooked for 16 years! I’m glad to hear others enjoy the same great flavor. Thank you for sharing this great substitution and the addition of walnuts. Maybe I can try that change for a Summer salad and still keep the tradition for Thanksgiving.